Low oxygen levels in cells may be a primary cause of uncontrollable tumor growth in some cancers, according to a new University of Georgia study. The authors' findings run counter to widely accepted beliefs that genetic mutations are responsible for cancer growth. If hypoxia, or low oxygen levels in cells, is proven to be a key driver of certain types of cancer, treatment plans for curing the malignant growth could change in significant ways, said Dr. Ying Xu, Regents-Georgia Research Alliance Eminent Scholar and professor of bioinformatics and computational biology in the Franklin College of Arts and Sciences. The research team analyzed samples of messenger RNA data—also called transcriptomic data—from seven different cancer types in a publicly available database. 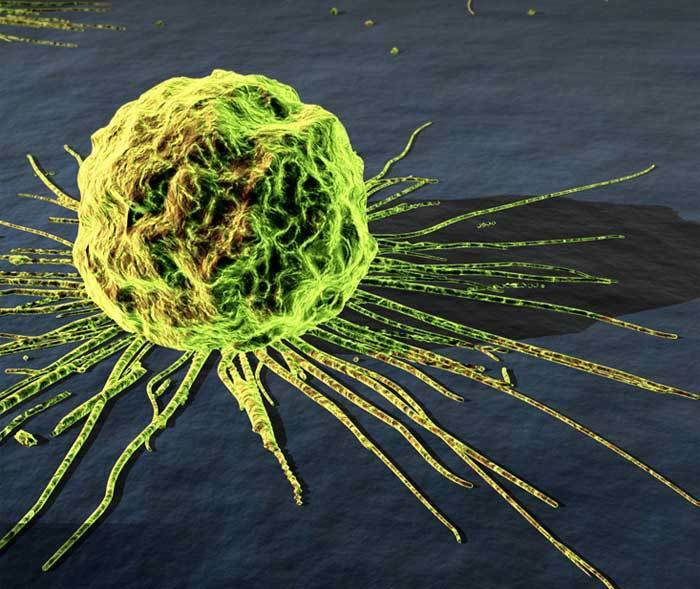 They found that long-term lack of oxygen in cells may be a key driver of cancer growth. 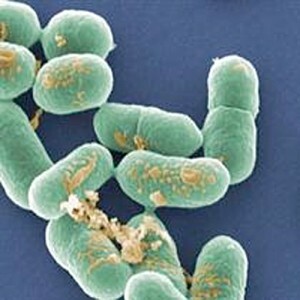 The study was published on April 20, 2012 in the early online edition of the Journal of Molecular Cell Biology. Previous studies have linked low oxygen levels in cells as a contributing factor in cancer development, but not as the driving force for cancer growth. High incidence rates of cancer around the world cannot be explained by chance genetic mutations alone, Dr. Xu said. He added that bioinformatics, which melds biology and computational science, has allowed researchers to see cancer in a new light. Gene-level mutations may give cancer cells a competitive edge over healthy cells, but the proposed new cancer growth model does not require the presence of common malfunctions such as a sudden proliferation of oncogenes, precursors to cancer cells. "Cancer drugs try to get to the root—at the molecular level—of a particular mutation, but the cancer often bypasses it," Dr. Xu said. Two researchers at the Geisel School of Medicine at Dartmouth have helped to identify switches that can turn on or off genes associated with colorectal cancer. The finding offers clues about the development of colorectal cancer and could—potentially—provide targets for new therapies. Dr. Jason Moore, Third Century Professor of genetics and the director of the Institute for Quantitative Biomedical Sciences, and Richard Cowper-Sal.lari, a graduate student in Dr. Moore's lab, were part of a team that included researchers from Case Western Reserve University and the Cleveland Clinic. The team published its findings in Science Express, the online prepublication site for the journal Science, on April 12, 2012. Many studies of cancer and other diseases have looked for genetic variations that lead to disease. But for this study, Dr. Moore, Cowper-Sal.lari, and their colleagues examined sections of DNA that do not code for proteins—sections that have sometimes been referred to as "junk DNA." Long overlooked, junk DNA has gained more attention of late as it has become clear that it can regulate the expression of genes. "We're now starting to assign function to what historically has been known as the junk DNA—stuff in between genes that we weren't really sure what it did, if it did anything at all," Dr. Moore says. Proteins that bind to noncoding sections far away from a gene, Dr. Moore explains, can help turn that gene on or off. The researchers looked at specific sections of noncoding DNA in nine colorectal cancer samples and three samples of healthy colon tissue. They found patterns in the sections of noncoding DNA that differed depending on whether the tissue was cancerous or healthy. They refer to these sections as variant enhancer loci (VELs). Cohesin is a ring-shaped protein complex involved in the spatial organization of the genome and in mitotic chromosome structure. Vertebrate somatic cells have two versions of cohesin that contain either SA1 or SA2, but their functional specificity has been largely ignored. Researchers of the Spanish National Cancer Research Centre (CNIO) under the direction of Dr. Ana Losada have identified new functions of cohesin SA1 that are relevant for two human diseases, cancer and Cornelia de Lange Syndrome (CdLS). These results are published in two papers that appeared back-to-back in the March 13, 2012 issue of the EMBO Journal. The first study shows that SA1 is required for efficient duplication of chromosome ends, the telomeres. In its absence, aberrant telomere structures hinder chromosome segregation during cell division and aneuploid cells (i.e., those with an incorrect number of chromosomes) are generated. This aneuploidy likely contributes to accelerating the onset of tumorigenesis in SA1-deficient mice. The appearance of certain types of pancreatic tumours, extremely rare in mice, is particularly striking. This mouse model may turn out to be a very useful tool for the study of pancreatic cancer. The second study reports for the first time a precise map of the distribution of cohesin SA1 and cohesin SA2 along the mouse genome. Moreover, it uncovers an essential role of cohesin SA1 in the regulation of gene expression during embryonic development. Lack of cohesin SA1 alters the transcription of genes involved in biological processes related to CdLS. This developmental disorder affects 1:30,000 newborns and is characterized by growth and mental retardation and multiple organ abnormalities. The study offers new clues to understanding the origin of the pathologies observed in CdLS patients. Scientists at the Gladstone Institutes in San Francisco, California, have determined how specific circuitry in the brain controls not only body movement, but also motivation and learning, providing new insight into neurodegenerative disorders such as Parkinson's disease—and psychiatric disorders such as addiction and depression. [Referential website: California rehab centers http://www.allaboutcounseling.com/dir/drug-rehab-programs/california/ Previously, researchers in the laboratory of Gladstone Investigator Anatol Kreitzer, Ph.D., discovered how an imbalance in the activity of a specific category of brain cells is linked to Parkinson's. Now, in a paper published online on April 29, 2012 in Nature Neuroscience, Dr. Kreitzer and his team used animal models to demonstrate that this imbalance may also contribute to psychiatric disorders. These findings also help explain the wide range of Parkinson's symptoms—and mark an important step in finding new treatments for those who suffer from addiction or depression. “The physical symptoms that affect people with Parkinson's—including tremors and rigidity of movement—are caused by an imbalance between two types of medium spiny neurons in the brain,” said Dr. Kreitzer, whose lab studies how Parkinson's disease affects brain functions. “In this paper, we showed that psychiatric disorders—specifically addiction and depression—might be caused by this same neural imbalance.” Normally, two types of medium spiny neurons, or MSNs, coordinate body movements. One type, called direct pathway MSNs (dMSNs), acts like a gas pedal. The other type, known as indirect pathway MSNs (iMSNs), acts as a brake.